While devoting his career to helping shoppers satisfy their lifestyle needs with quality natural and organic foods, Mackey has also focused on building a more conscious way of doing business. He was the visionary for Whole Planet Foundation to help end poverty in developing nations, the Local Producer Loan Program, which provided $25 million in low interest loans to help local food producers expand their businesses, and the Global Animal Partnership’s rating scale for humane farm animal treatment. A strong believer in free market principles, Mackey co-founded the Conscious Capitalism Movement (http://consciouscapitalism.org/) and co-authored a New York Times and Wall Street Journal best-selling book entitled “Conscious Capitalism: Liberating the Heroic Spirit of Business” (Harvard Business Review Press 2013) to boldly defend and reimagine capitalism, and encourage a way of doing business that is grounded in ethical consciousness. 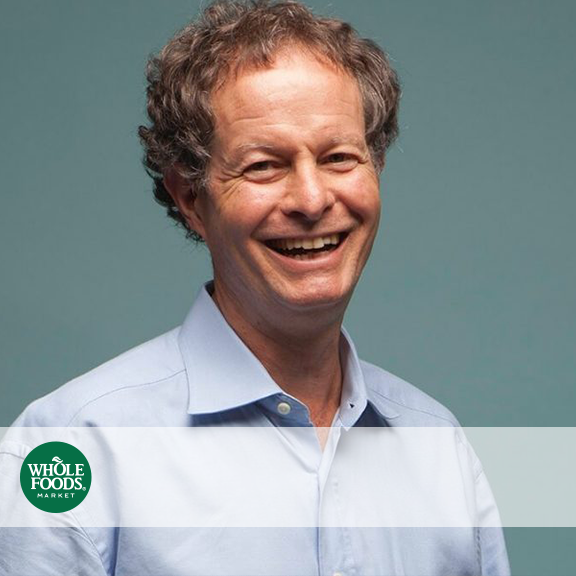 Mackey cut his pay to $1 in 2006 and continues to work for Whole Foods Market out of passion to see the business realize its potential for deeper purpose, for the joy of leading a great company and to answer the call to service that he feels in his heart. Most recently, Mackey has focused on returning to the company’s roots around healthy eating and lifestyle choices. A passionate advocate of healthy eating education, he laid the foundation for health and wellness programs for team members and customers. Mackey is co-author of The Whole Foods Diet: The Lifesaving Plan for Health and Longevity (Grand Central Life & Style 2017); and The Whole Foods Cookbook: 120 Delicious and Healthy Plant-Centered Recipes (Grand Central Life & Style 2018). Mackey is an avid backpacker and long-distance hiker. He lives in Austin, TX with his wife Deborah.